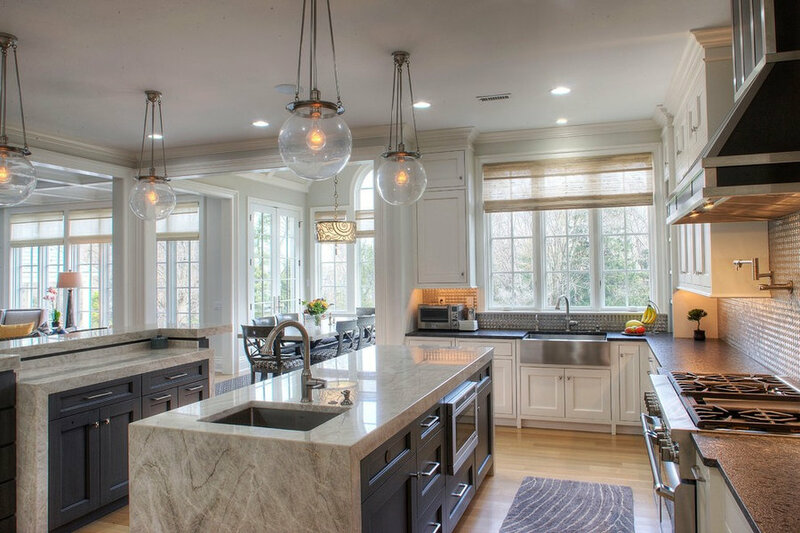 The scope of this project was to create an open layout with a modern feel and fluid circulation throughout the three floors, with plenty of space for entertaining. 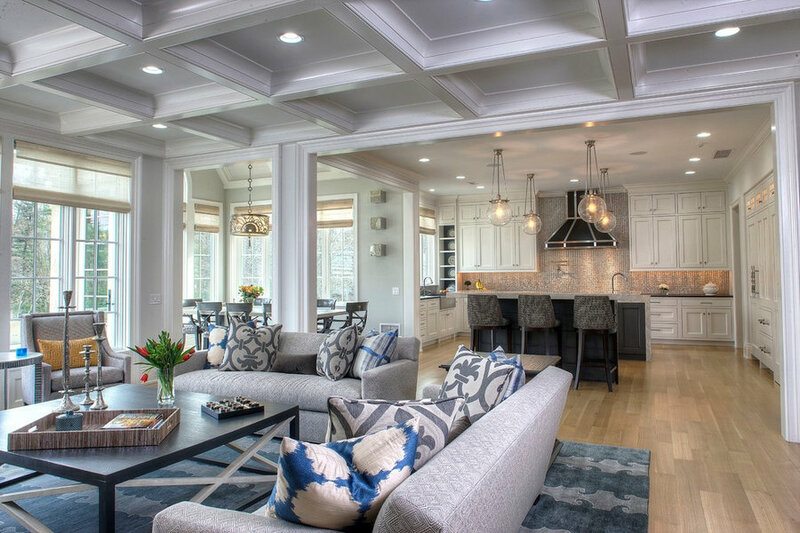 Classical architectural elements are reflected in the coffered ceilings, wainscot paneling, trim work, and dramatic windows. 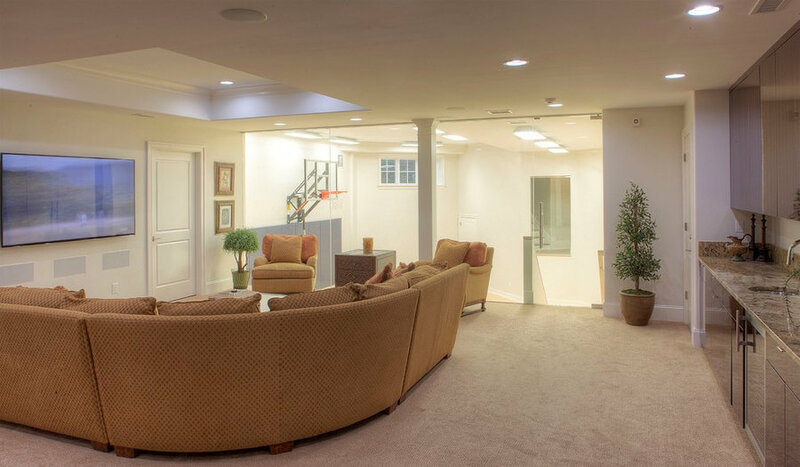 A set of stairs flanks each side of the plan, with one set enabling the children to easily circulate from the mudroom to bedrooms upstairs, and downstairs to the lower level—with an indoor basketball court and arts & crafts room. 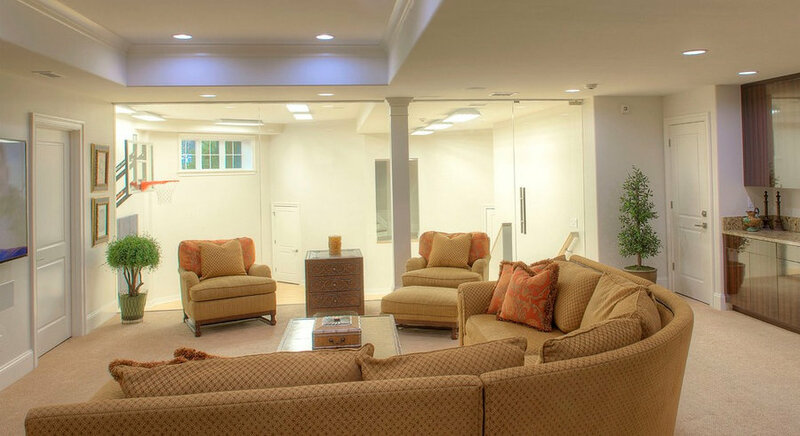 The other set allows for movement between the more formal areas of the home. A large patio & entertaining space was built off of the main living area for outdoor recreation, along with a pool house that doubles as the entertainment hub. 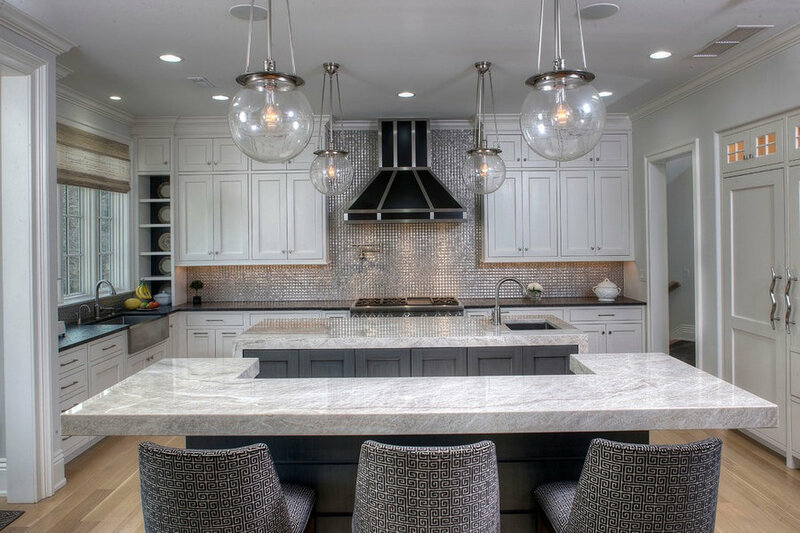 The kitchen is equipped with energy-efficient, state-of-the-art appliances, and features two islands with a waterfall slab edge. 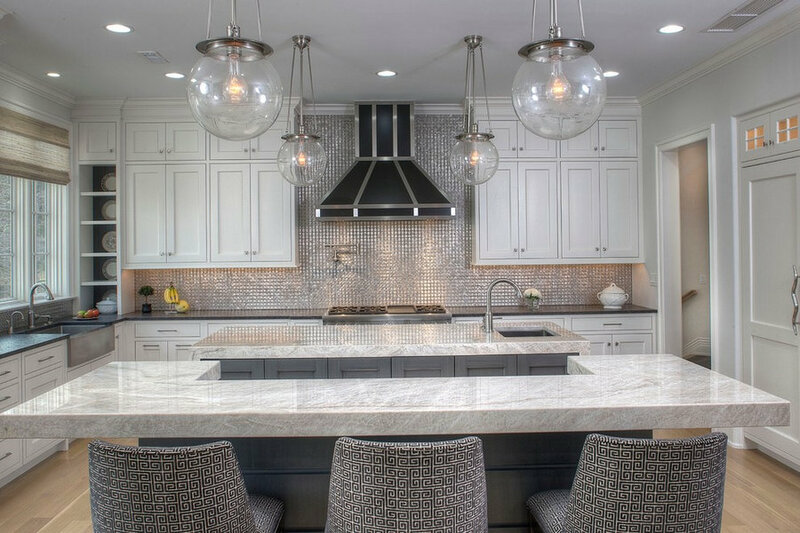 The custom hood—outfitted with stainless strappings & rivets—as well as the stainless backsplash and pendant lights reflect the kitchen’s industrial feel. 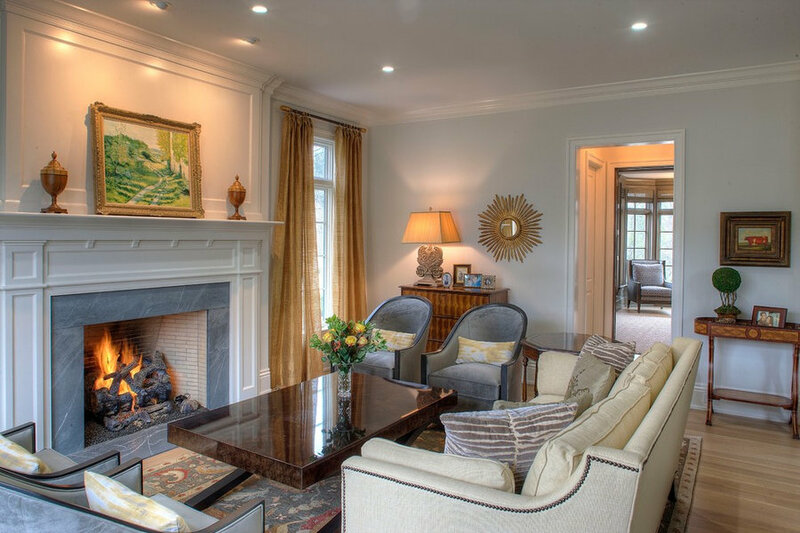 Custom-inlaid floor tiles, leather rug bindings, and hand-painted finishes were incorporated for an elegant & refined feel, along with child & pet-friendly furnishings & fabrics.